Ilan is right, of course, and perhaps I should've mention that myself.. Most things you find will clearly explain their licensing. Many things will say "For Personal or Educational Use", which pretty much excludes uploading and selling it, no matter how you argue that. Over in the Blender for OpenSim group, there are some discussions about how to easily get the Make Human avatars into OpenSim. Make Human is an open source project. The models you make are CC0, all yours to do whatever you choose to do. 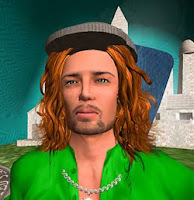 The first people to figure out how to get the prettiest looking avatars onto the Kitely Market will probably do very well since there seems to be a great desire for good looking avatars.